Campgate with six rows, three turrets, no doors. 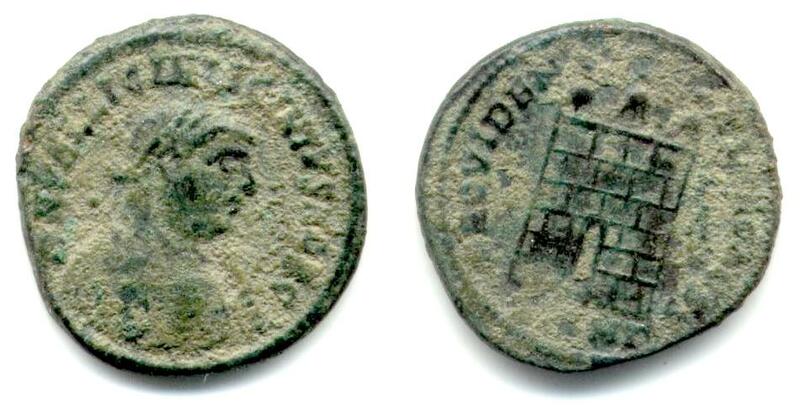 Minted at officina Gamma in Heraclea (Marmara Ereglisi, Turkey) between 318 and 320 A.D.
Bruun, P.M., "Roman Imperial Coinage", Volume 7 (RIC), Heraclea, p547, nr 49, obverse legend 6, bust J1 right. Van Meter, D., "Handbook of Roman Imperial Coins", p286, nr 8.